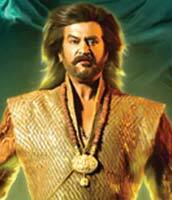 Rajinikanth, who underwent treatment at the Sri Ramachandra Medical Centre in Porur and later in a Singapore hospital, is said to be ready to shoot for Rana. However, his daughter Soundarya wants him to rest for two more months as the producers have scheduled the shooting from December. Rana is an action film where Rajinikanth portrays three different roles and there are high voltage stunts also. Deepika Padukone and Sonu Sood are part of the cast. The film is being produced by Eros International along with NextGen Films and Rana Production, United Kingdom. It is being directed by K.S. Ravikumar and has music by AR Rahman.